The meadow was a busy place early on Thursday morning. 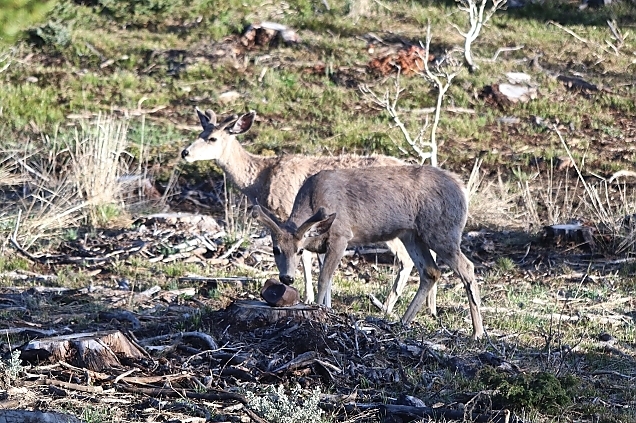 First, three buck deer visited. They hadn't been here very long when they took off, looking over their shoulders as they trotted off. I looked at the other side of the meadow and saw four long brown legs at the other mineral lick. A moose. Due to the placement of the mineral lick, which is right behind a pine tree when looking out the dining room window, I couldn't tell which moose it was, only that it appeared to be smaller than either Morley or Hannah but it did have antlers. We waited patienly as he took his fill of minerals, camera at the ready. 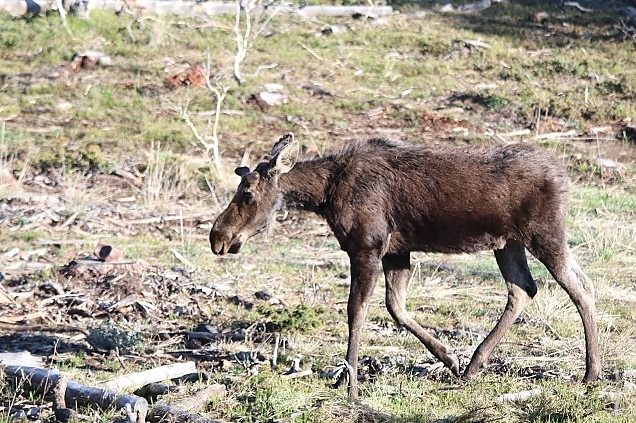 When he finally came into full view we could see it was indeed a different moose altogether. 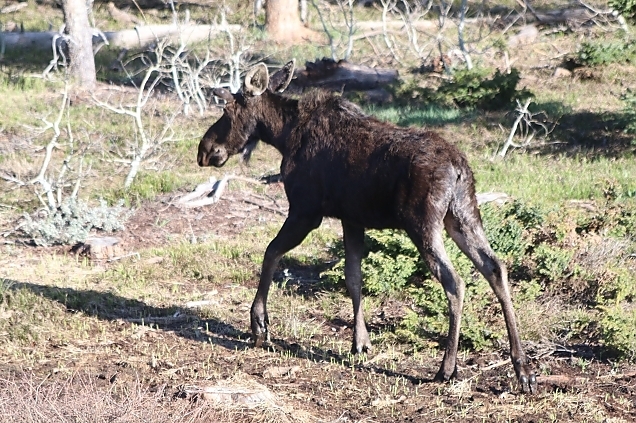 A very young bull moose. He didn't stay long after that but we're happy he stopped by anyway.